Bill Ackman, 51, is the founder, chief executive officer and portfolio manager of Pershing Square Capital Management, L.P., an SEC-registered investment adviser founded in 2003. Pershing Square is a concentrated research-intensive, fundamental value investor in long and occasionally short investments in publicly traded companies. Mr. Ackman has served as Chairman of the Board of The Howard Hughes Corporation (NYSE: HHC) since November 2010. Mr. Ackman served as a director of Valeant Pharmaceuticals International, Inc. (NYSE: VRX) (TSX: VRX) between March 2016 and May 2017 and as a director of Canadian Pacific Railway Ltd. (NYSE: CP) (TSX: CP) between May 2012 and September 2016. Mr. Ackman served as a director of J.C. Penney Company, Inc. (NYSE: JCP) from February 2011 through August 2013 and as a director of Justice Holdings Limited (LSE: JUSH) from April 2011 to June 2012 when it merged with Burger King Worldwide, Inc. (NYSE: BKW), now (NYSE: QSR)(TSX: QSR). From June 2009 to March 2010, Mr. Ackman served as a director of General Growth Properties, Inc. (NYSE: GGP). 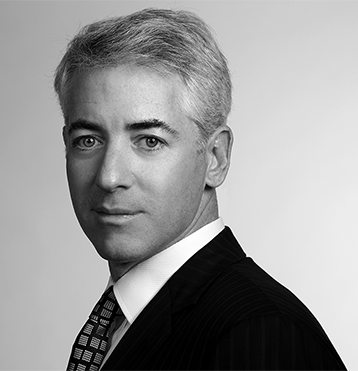 Mr. Ackman is a Trustee of the Pershing Square Foundation, a member of the Board of Trustees at The Rockefeller University and a member of the Board of Dean’s Advisors of the Harvard Business School. Mr. Ackman’s management experience, his prior service on boards of directors of public companies and his investments in public and private companies across a variety of industries give him valuable insight that can be applied to the benefit of ADP and the Board. 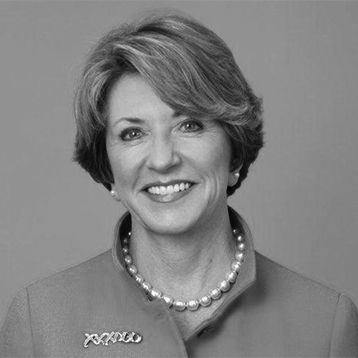 Veronica M. Hagen, 71, served as Chief Executive Officer of Polymer Group, Inc. from 2007 until her retirement in 2013 and served from 2007 to 2015 as a director. Ms. Hagen also served as President of Polymer Group, Inc. from January 2011 until her retirement in 2013. Polymer Group, Inc. is a leading producer and marketer of engineered materials. Prior to joining Polymer Group, Inc., Ms. Hagen was the President and Chief Executive Officer of Sappi Fine Paper, a division of Sappi Limited, the South African-based global leader in the pulp and paper industry, from November 2004 until 2007. Ms. Hagen also served as Vice President and Chief Customer Officer at Alcoa Inc. (NYSE: AA). She serves on the Compensation Committee and the Nominating/Corporate Governance Committee of the Board of Directors of American Water Works Company, Inc. (NYSE: AWK). Ms. Hagen also serves as the Chair of the Compensation Committee and a member of the Nominating and Governance Committee of the Board of Directors of Newmont Mining Corporation (NYSE: NEM). Since 2008, Ms. Hagen has served as a director of Southern Company (NYSE: SO) on the Nuclear/Operations Committee and as chair of the Nominating and Governance Committee. She also served as lead director of Southern Company for two years. Ms. Hagen is a member of the Committee of 200, Women Corporate Directors, and the National Association of Corporate Directors. Ms. Hagen has extensive global executive leadership experience in competitive industries where her focus on operational efficiency and productivity were paramount to long-term success. Ms. Hagen’s experience as an executive and public company director will provide valuable skills and insights to the Board. V. Paul Unruh, 68, is presently director and Chairman of the Audit Committee at Symantec Corporation (NASDAQ: SYMC). Mr. Unruh serves as director and Chairman of the Audit and Risk Committee at Aconex Limited (ASX: ACX) and previously served as a director and member of the Audit and Finance Committee at Heidrick & Struggles International Incorporated (NASDAQ: HSII). Mr. Unruh is a member of the National Association of Corporate Directors as well as the KPMG Audit Committee Institute. 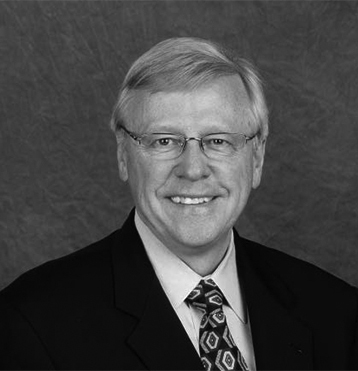 Mr. Unruh previously served on the Board of London Continental Railways Limited, Move, Inc. and URS Corporation. Mr. Unruh is a Certified Public Accountant. Mr. Unruh retired from his 25-year tenure with Bechtel Group (“Bechtel”) in 2003. Mr. Unruh served in numerous senior leadership roles at Bechtel, including Chief Financial Officer from 1992-1996, Controller from 1987-1991, Treasurer from 1983-1986 and Manager of Financial Systems Development from 1978-1982. He served as the President of Bechtel Enterprises Holdings, Inc. from 1997-2001. Mr. Unruh served as the Vice Chairman at Bechtel Group, Inc. from 2001-2003. Mr. Unruh has obtained technology, project development, finance, human resources, legal, and strategic planning expertise through his 30 years of professional experience as a senior executive. This experience, along with Mr. Unruh’s public company board experience, will make him a valuable addition to the Board.